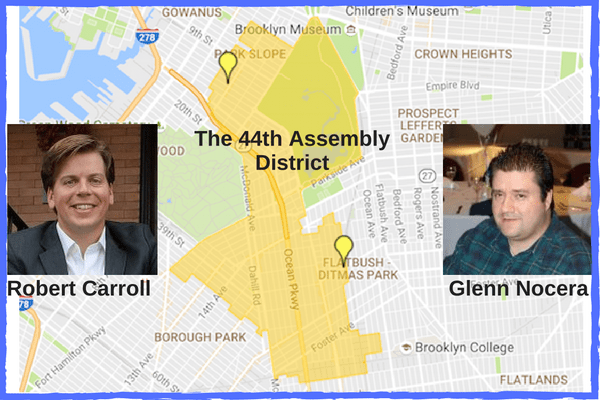 44th AD Race: Carroll, Nocera Weigh In On New Home Sharing Enforcement Fines – Glenn Nocera For Brooklyn Borough President. EDITOR’S NOTE: As part of an on-going series, KCP is asking candidates running for state office in the upcoming Nov. 8 general election about issues that matter and that are being debated in Albany. In the 44th Assembly District, there are two candidates running for the seat left vacant with the coming retirement of longtime Assemblyman James Brennan. They are Democratic and Working Families Party Candidate Robert “Bobby” Carroll, and Republican and Conservative Party Candidate Glenn Nocera. The district includes the neighborhoods of Park Slope, Windsor Terrace, Greenwood Heights, Kensington, Ditmas Park and part of Borough Park. At one time the district had a large concentration of Irish and Italian Catholic working-class families. While there remains some of this population, particularly in Windsor Terrace, the district now also includes a large population of Muslims from Bangladesh and Pakistan, Orthodox Jews and new immigrants from around the world. Gov. Cuomo, last week signed an enforcement law last week that has the home sharing company Airbnb is up in arms. The law calls for the imposing of fines of up to $7,500 for people advertising home sharing in building with four units or more for less than 30 days. The steep fines facing homeowners and renters is because their advertising violates a 2010 city ordinance making home sharing in multifamily units for less than 30 days in New York City illegal. Under the legislation, which had strong support from the state Hotel and Motel Trades Council, people are allowed to rent out a room in their house or apartment as long as they are also staying there. Do you agree with this law and why or why not? 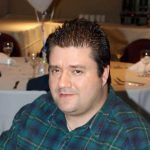 Glenn Nocera: “I do not agree with the Law that was signed by Governor Cuomo making it illegal for people to rent out their apartment or homes for less than 30 days if they have four or more units in their apartment building. I believe that government again is rearing its ugly head into people’s lives. It’s hard enough to survive in New York City due to the high taxes and High Cost of Living. If elected, I will push to bring back Airbnb because government should never intrude on the entrepreneurial spirit that made this country great. Robert “Bobby” Carroll: I support the recent bill signed by Governor Cuomo imposing fines for advertising rentals of less than 30 days on sites like AirBnB that violate the multiple dwelling law of New York. This law will impose fines on individuals who list apartments for rent for less than 30 days in buildings of 4 or more units – if the primary occupant is not present during the stay. Thus, this bill will not affect you if you own a 1, 2, or 3 family home and want to rent an extra room or apartment by the night or if you live in a 2 or 3 bedroom apartment in a multi-unit building and want to rent out the extra bedroom by the night, as long as, the apartment is your primary residence and you are present during the guest(s)’ stay. So who does this law affect? Landlords of multi-unit buildings or folks who own multiple apartments throughout the city who have decided that they rather rent their apartments by the night instead of renting them to someone who lives and works in NYC. This practice has moved tens of thousands of units from the residential rental market to the hotel market. This might be a great benefit if you are a tourist or own multiple properties throughout the city but it is a major hindrance to affordable housing for thousands if not millions of New Yorkers. Imagine if a new website allowed the owners of parking garages and empty lots in residential areas to rent their space to light and heavy manufacturers. It would invariably be a boon for the owner of the property but a major nuisance and health risk to the adjacent residents. Zoning laws are necessary for a livable city. And what about those Working Class and Middle Class New Yorkers who use AirBnB to supplement their income? Well the vast majority of those folks rent out an extra room in their house or apartment that they occupy as their primary residence; so they aren’t affected by this law and can continue using AirBnB as they always have.